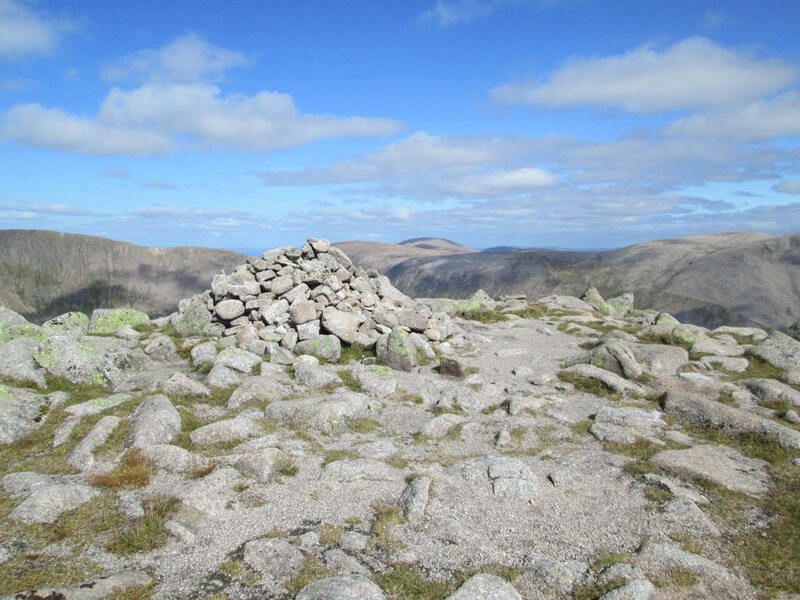 I climbed Sgor an Lochain Uaine (also known as The Angel's Peak) in September 2018 from Auchlean in Glen Feshie. 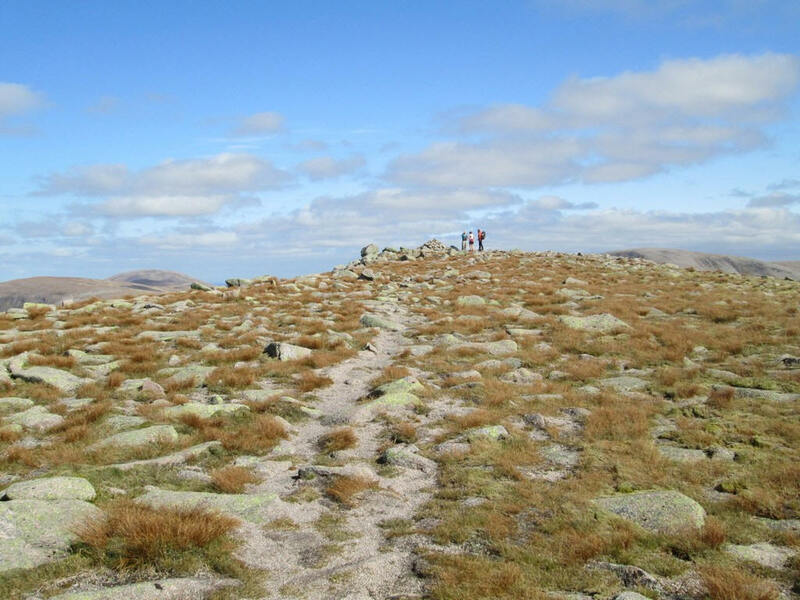 The return walk is16 miles long and has a total of about 1375 metres ascent and descent. 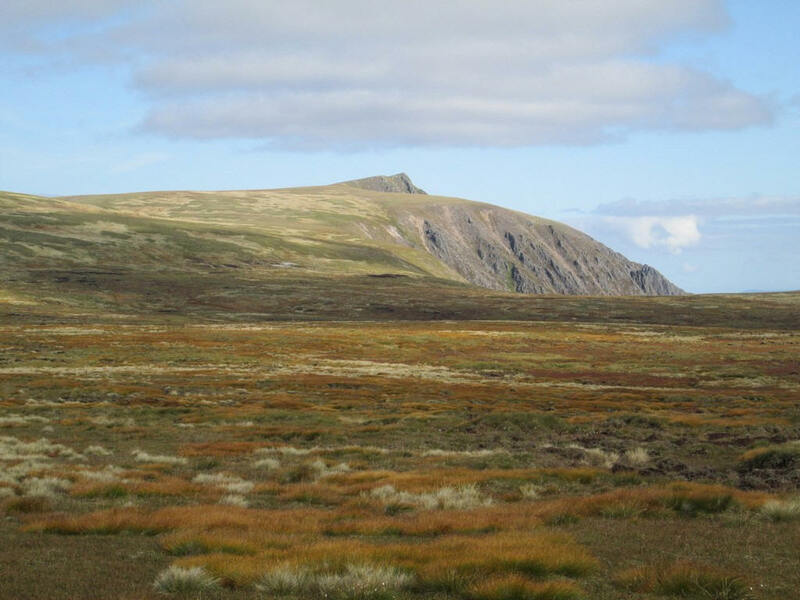 Sgor an Lochain Uaine is a summit that has a bit of a history as far as I am concerned. 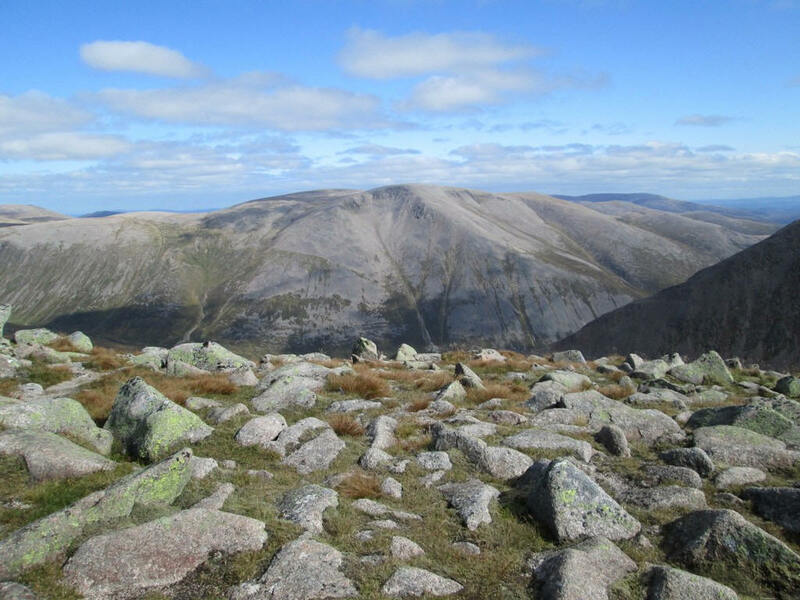 In 2009 I climbed both of the adjacent peaks - Braeriach and Cairn Toul - but did not go up to the summit of Sgor an Lochain Uaine. I was using an old Harvey's map which pre-dated the Munro tables revision and its colour coding showed that Sgor an Lochain Uaine was not a Munro. 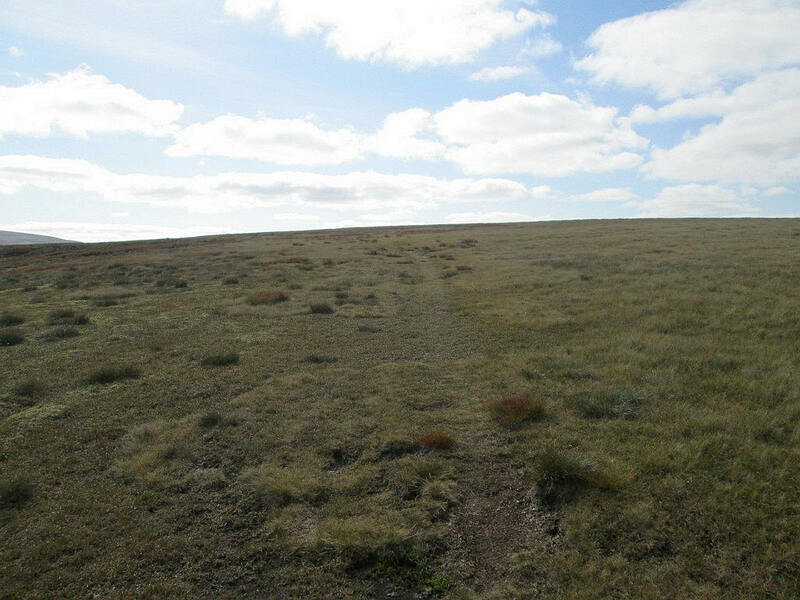 Therefore, I decided not to climb the extra few hundred feet needed to reach the summit and skirted around the hill's flanks. 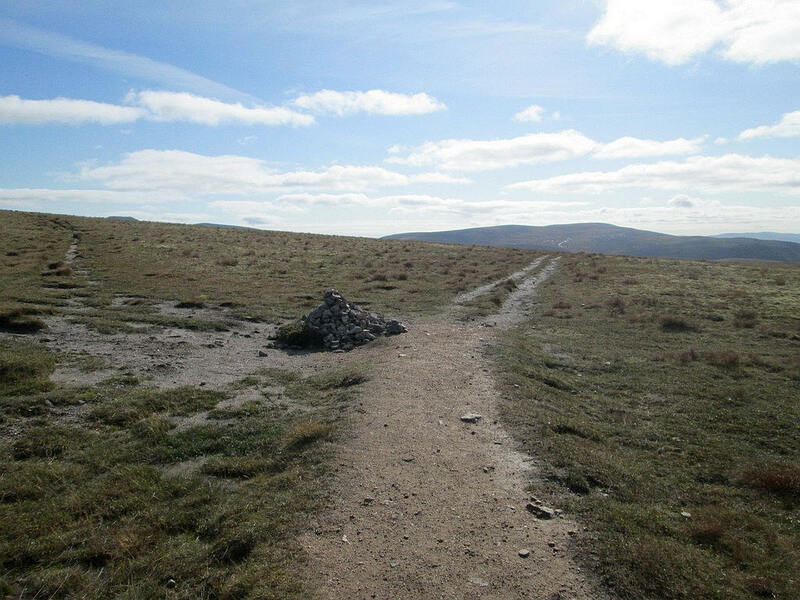 It was only later that I realised my mistake and that the hill was now a Munro. 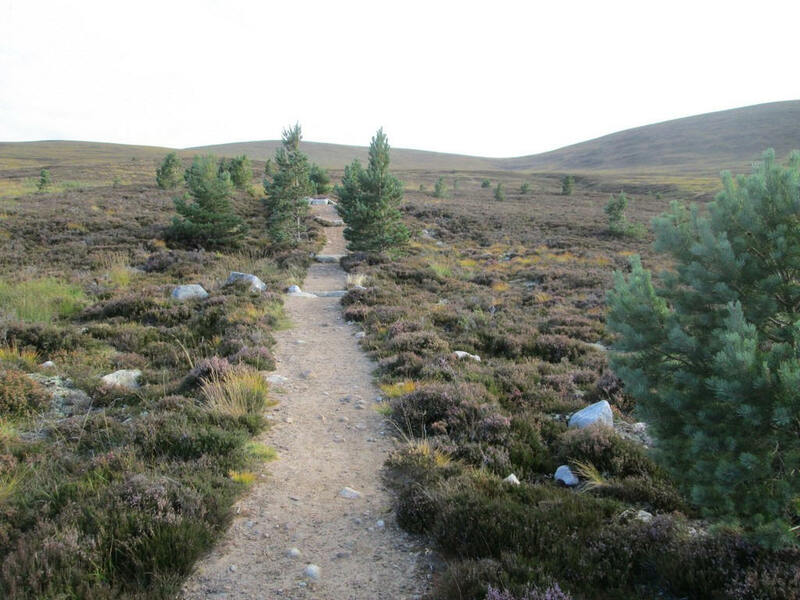 The following year I walked from Braemar and climbed the nearby Devil's Point, but I then ran out of the time needed to reach Sgor an Lochain Uaine. Another planned attempt in June 2018 was thwarted by gales. 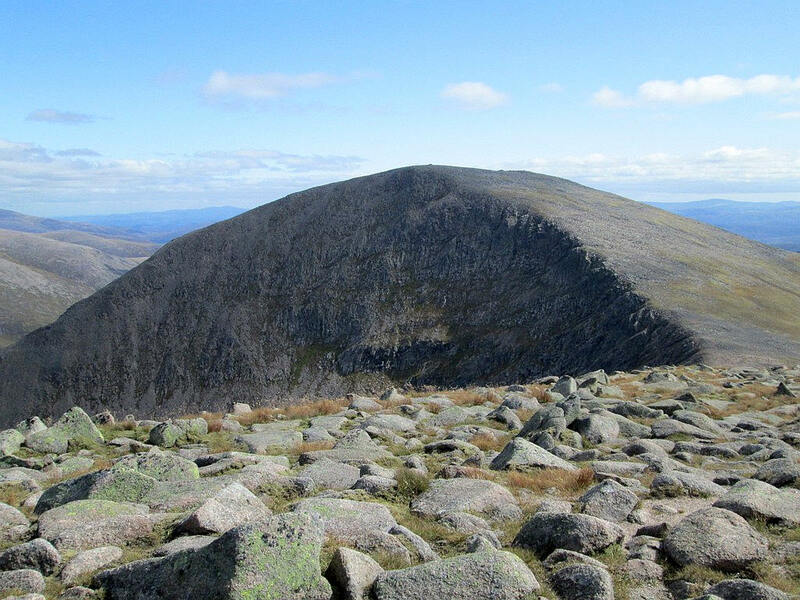 However, at last I have managed to climb Sgor an Lochain Uaine from the Glen Feshie side, and what a superb walk it is from this western approach. 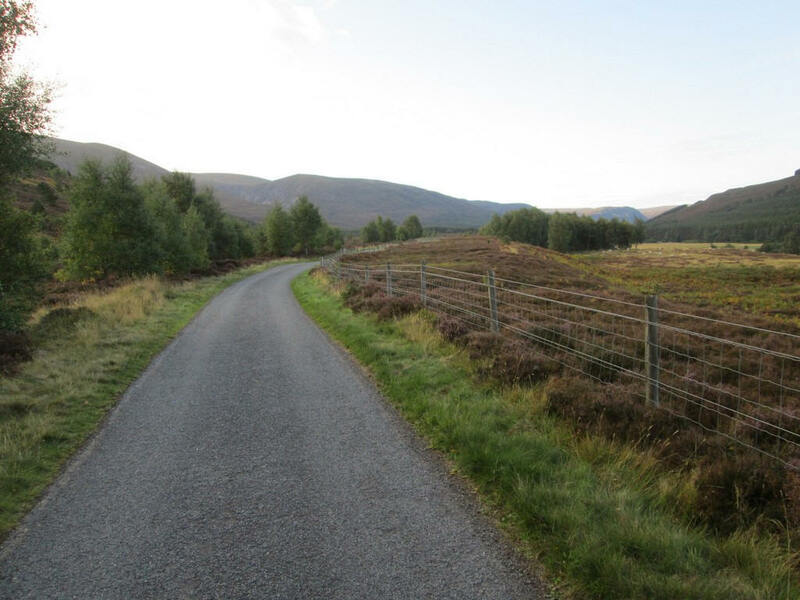 I drove to the car park at Auchlean, leaving about 08:15 along the lane towards the farm. 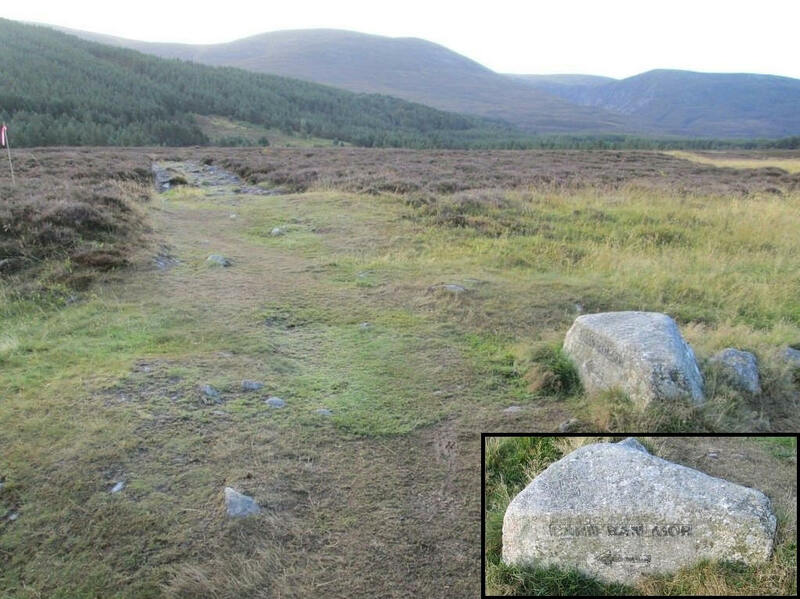 After about half a mile on the road a stone by the road side, with the inscription Carn Ban Mor, marks the start of the path up onto the Cairngorm plateau. ...and for the first mile or so is easily graded. 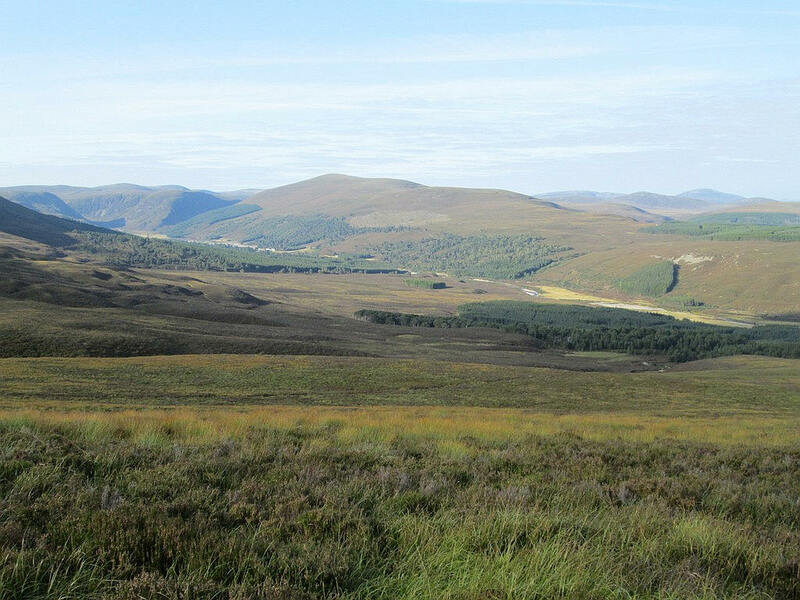 Looking back down into Glen Feshie. 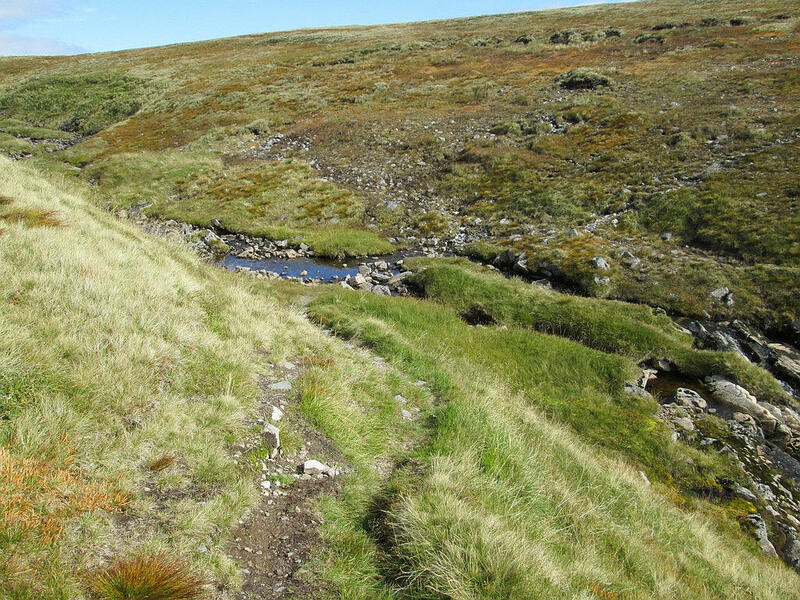 The path climbs steadily up the side of the hillside above the Allt Fhearnagan stream. 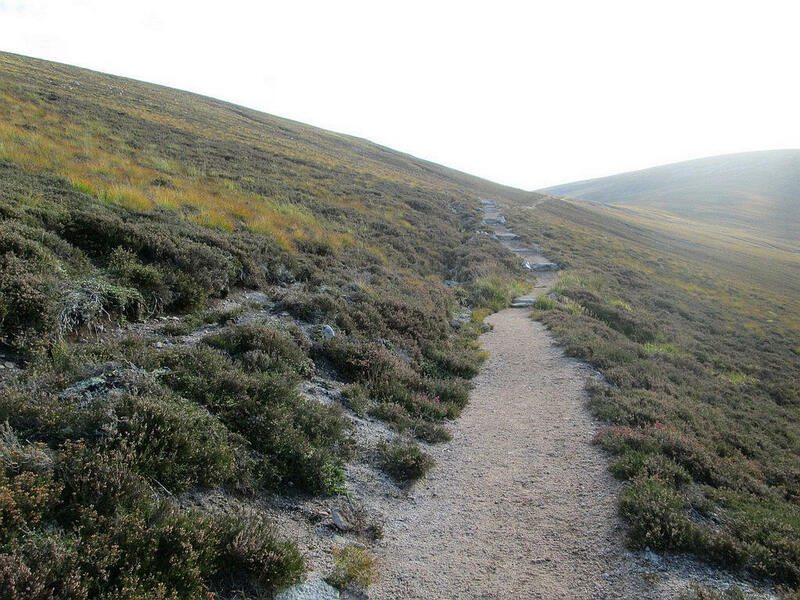 The path can be snaking up the hillside above Coire Fhearnagan. Just before the path drops to a col there is a sunken walled shelter which would no doubt given some protection in bad weather. 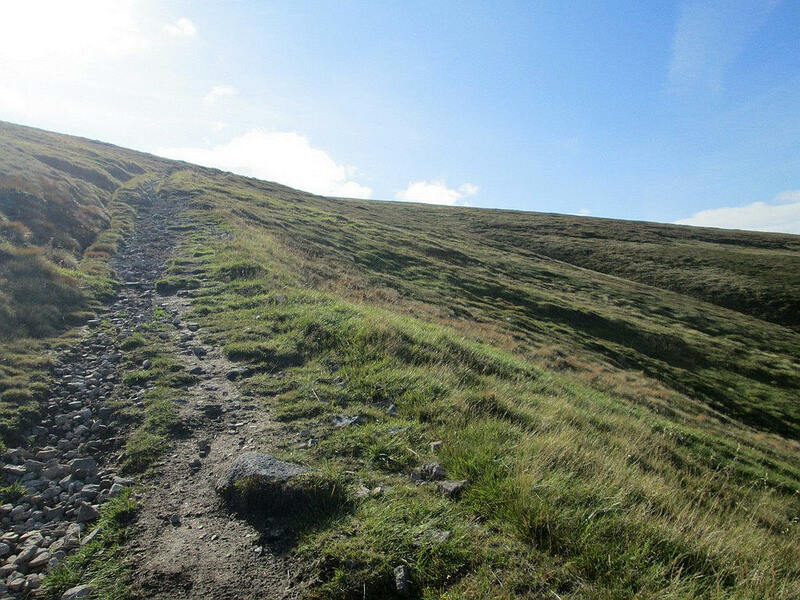 Looking back downhill - although the path is relatively easily graded it is relentless. 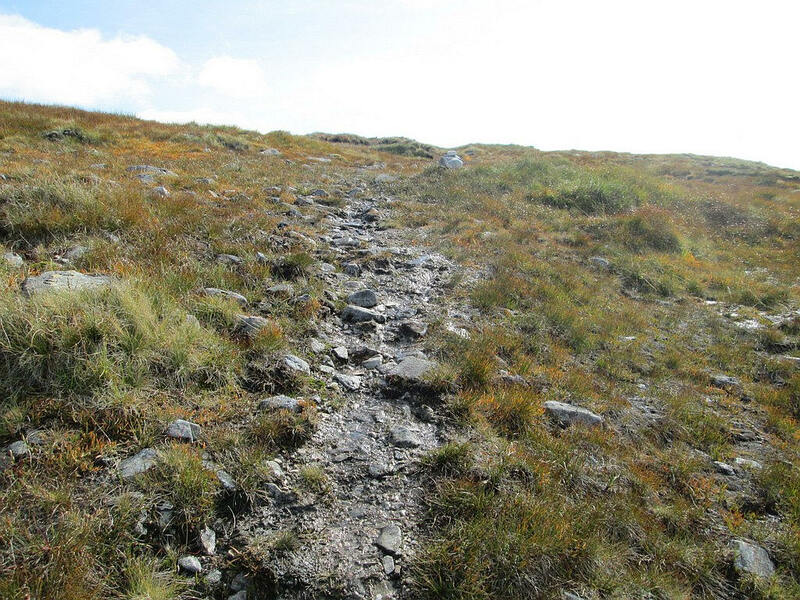 As the path approaches the 1000m contour it becomes rougher and steeper. 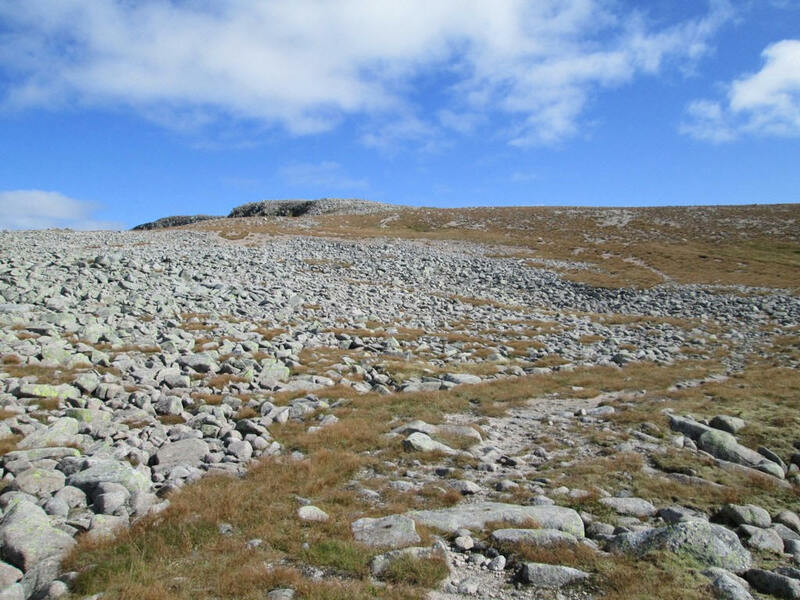 Just below the summit of Carn Ban Mor there is a large cairn with five tracks leading off in different directions. It had taken just under two hours to reach this point, slightly faster than I'd expected. 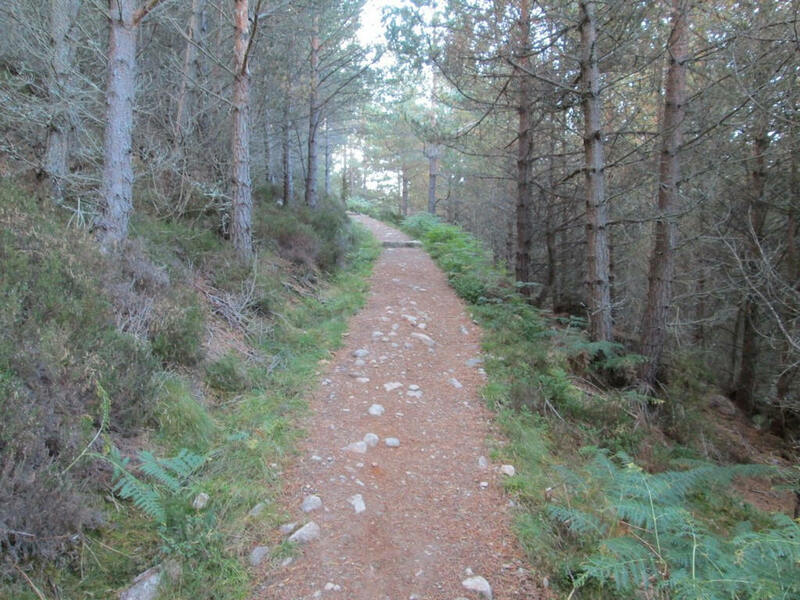 The path straight ahead is the way I wanted. 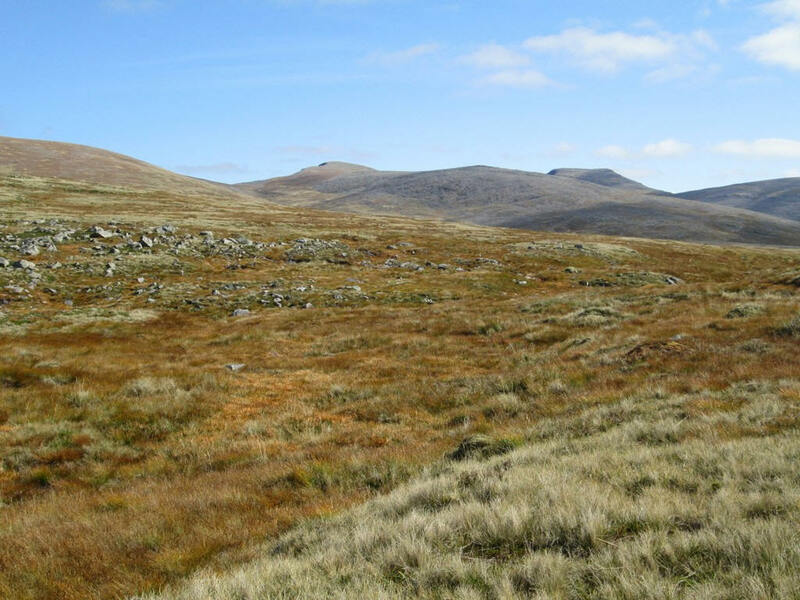 ...whilst to the east are Sgor an Lochain Uaine (1258m) on the left and to the right the flat top of Cairn Toul (1291m). 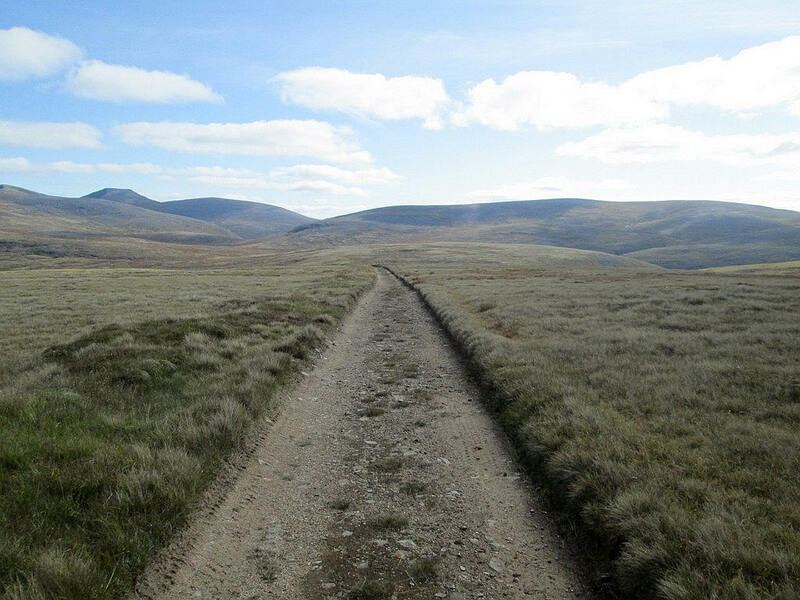 These are the fifth and fourth highest hills in Britain. 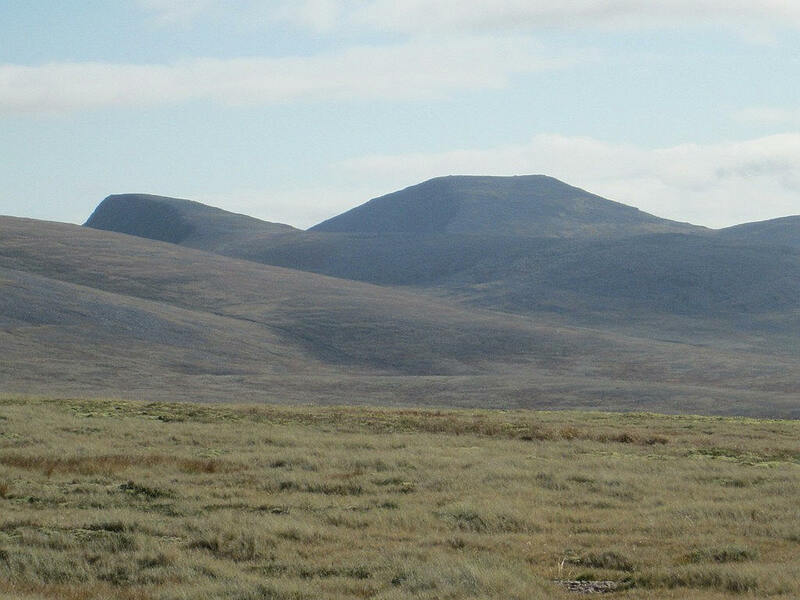 Looking across the Moine Mor (Great Moss) towards the three Munros of Sgor an Lochain Uaine, Cairn Toul and Monadh Mor. 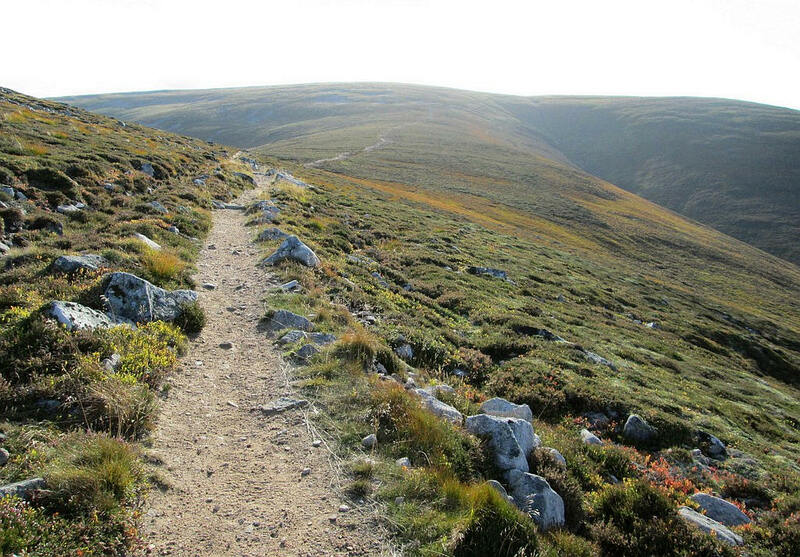 The track becomes a little fainter as it drops downhill, losing about 100m in height. Looking back to the north, the rock outcrop of Sgor Gaoith peeps over the cliffs that fall down into Loch Eanaich. 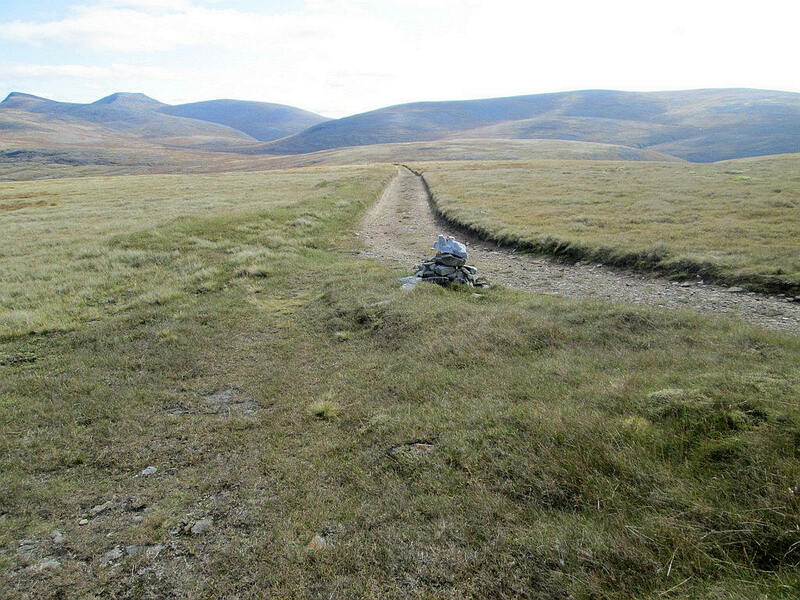 ...reach a cairn by the side of a vehicle track at NN 905 956. ...which drops down to a vehicle turning point at NN 912 958. 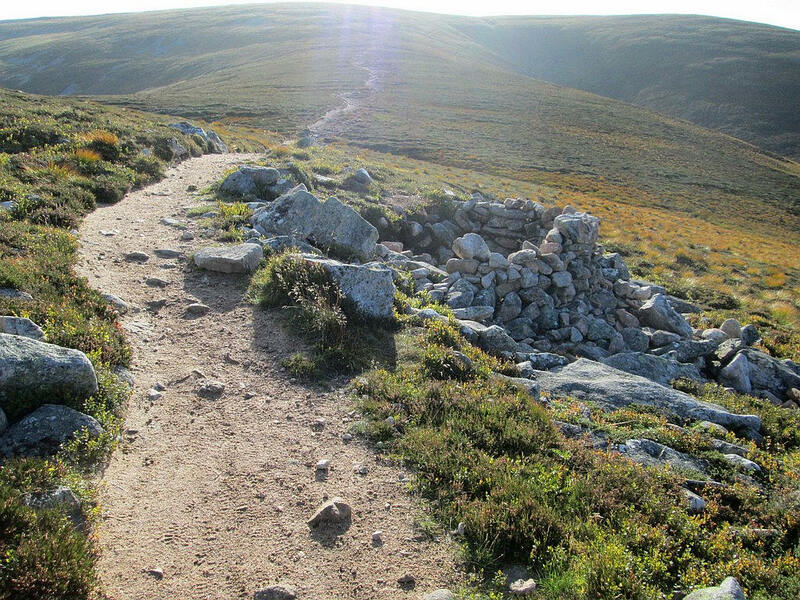 From there a path leads down to the Allt Sgairnich, which given the dry conditions, was easily crossed on stones. 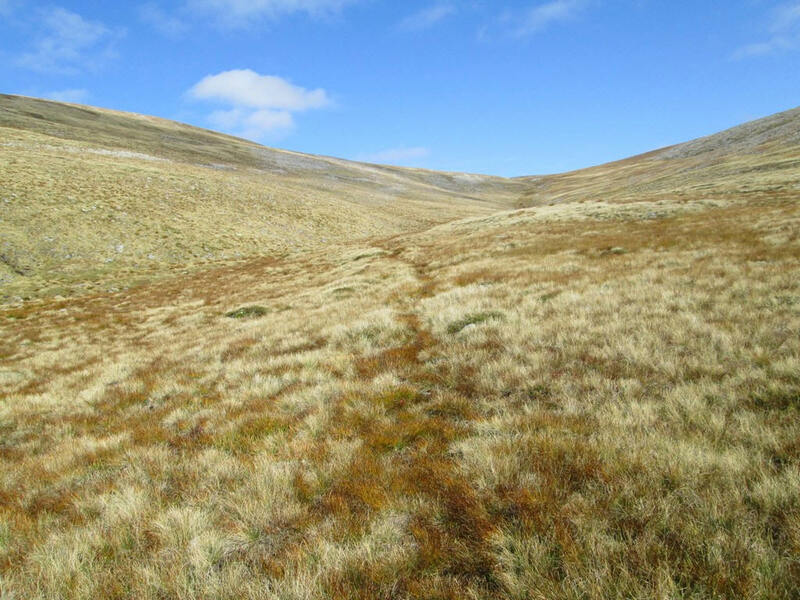 ...but I now needed to walk on GPS bearings as there are no tracks towards Sgor an Lochain Uaine. Heading towards NN917 959 Loch nan Chapan comes into view below. 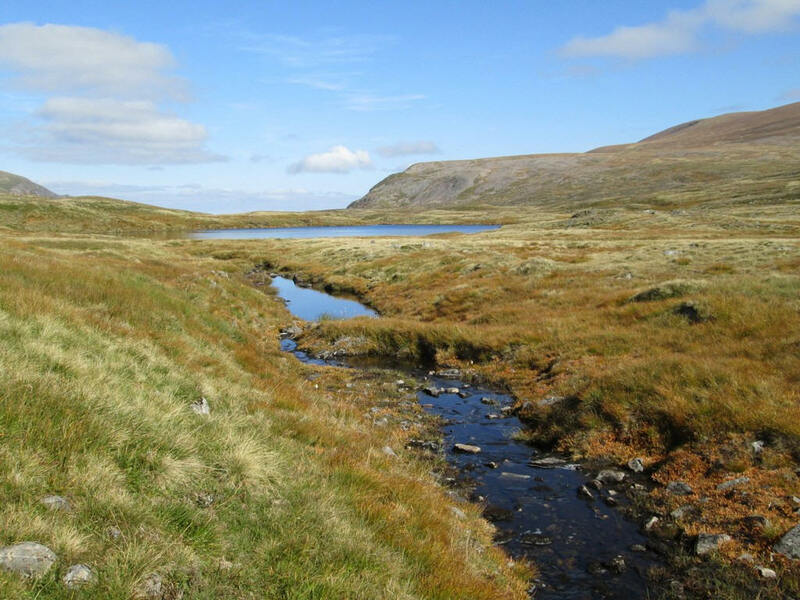 Intriguingly, the loch appears to drain in both a northerly and southerly direction. 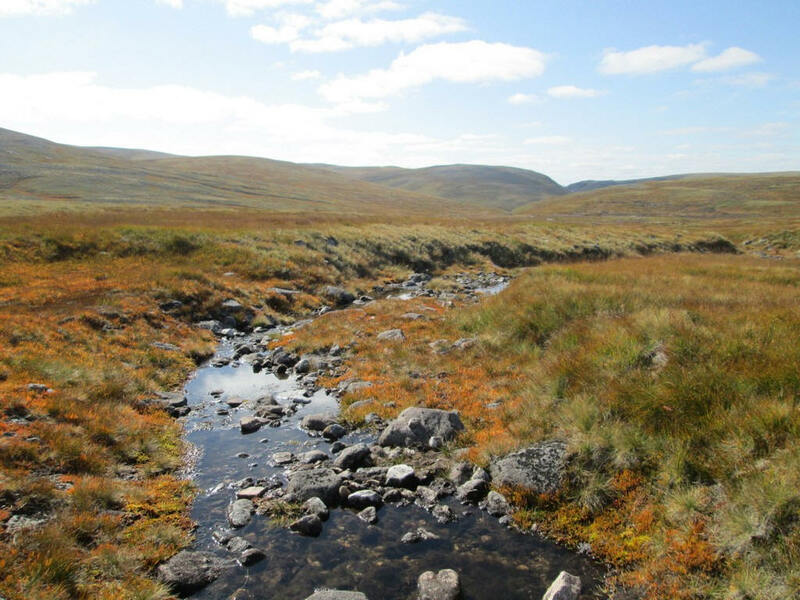 I had expected that crossing the boggy area would be difficult but, given the dry summer of 2018, this was not the case. 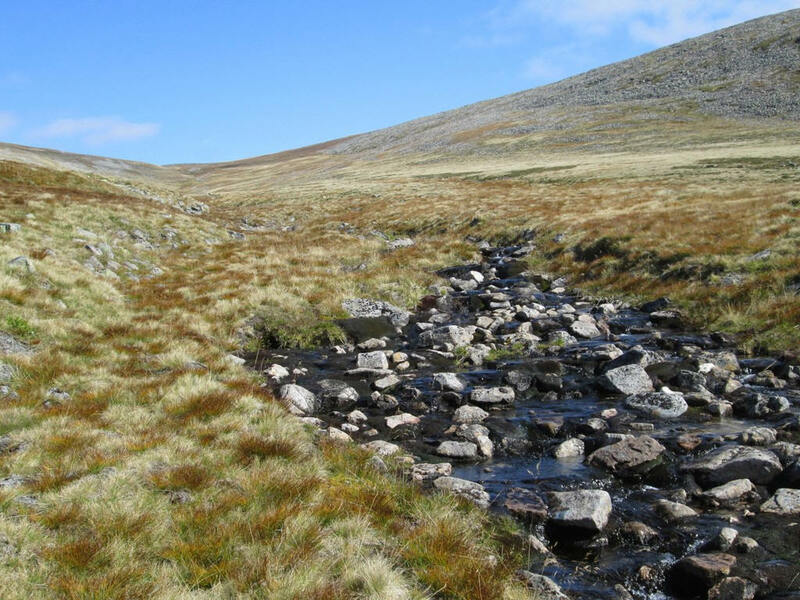 There are a couple of streams to cross which might be a problem in very wet weather. ....to reach the Allt Luineag stream at about NN 938 965. ....crossing over when I saw what appeared to be a path. However, it soon disappeared but walking was easy across grass. Near the col the ground became stonier. 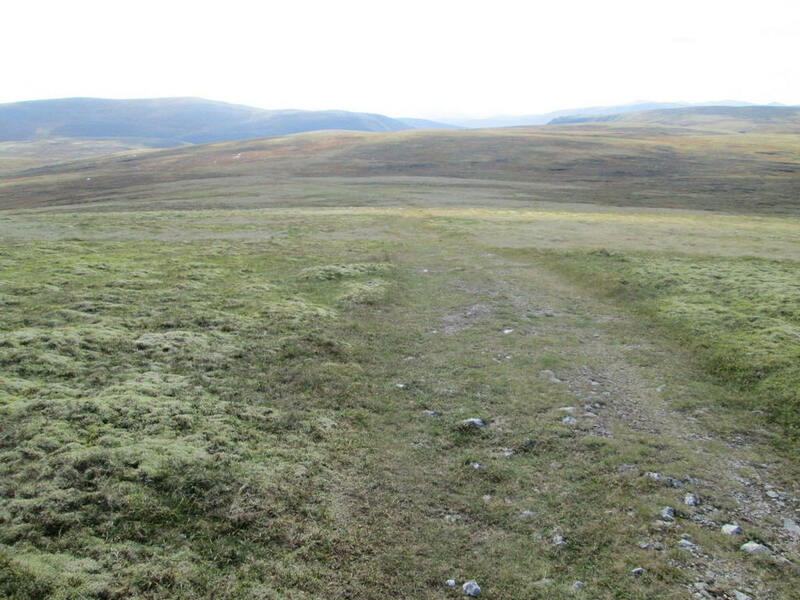 Looking back down the Clais Luineag to the Great Moss. 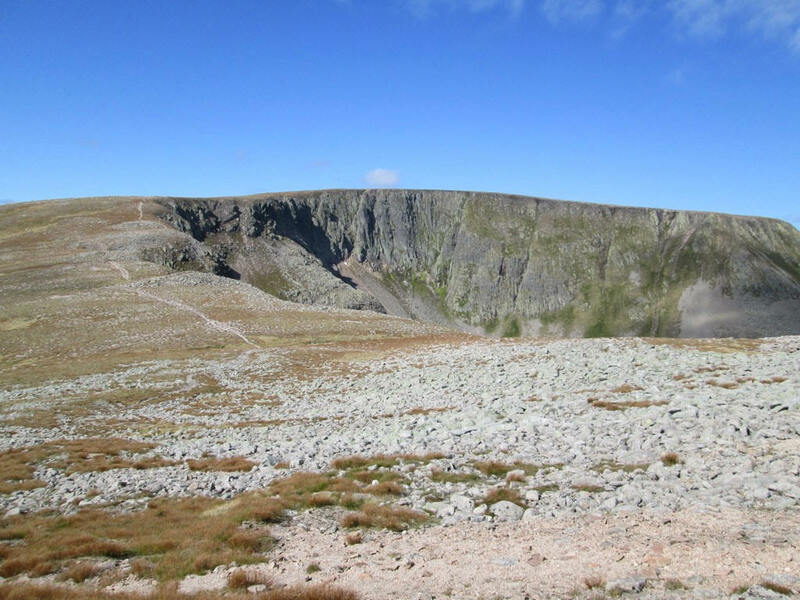 I reached the col at about NN 946 976 and was rewarded with this view of Carn na Criche and the cliffs above Garbh Choire Mor. 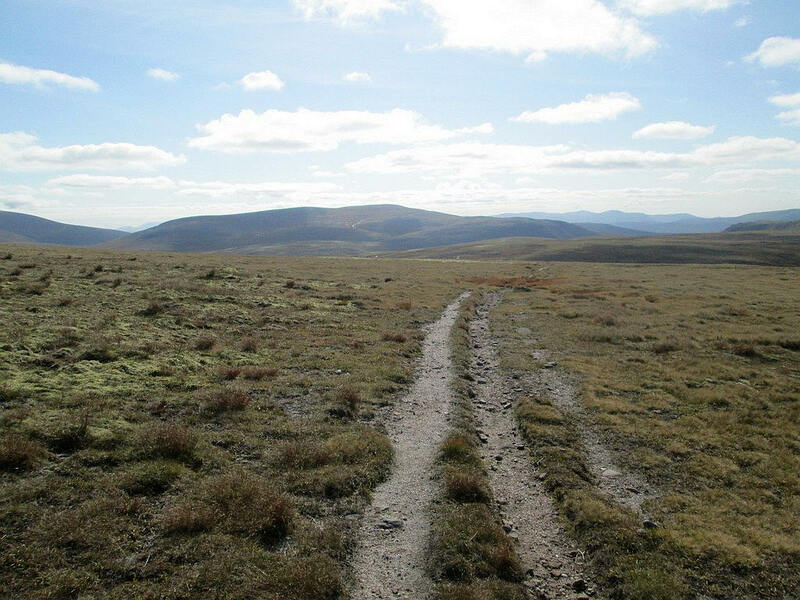 From the col a clear path heads up hill towards Sgor an Lochain Uaine. 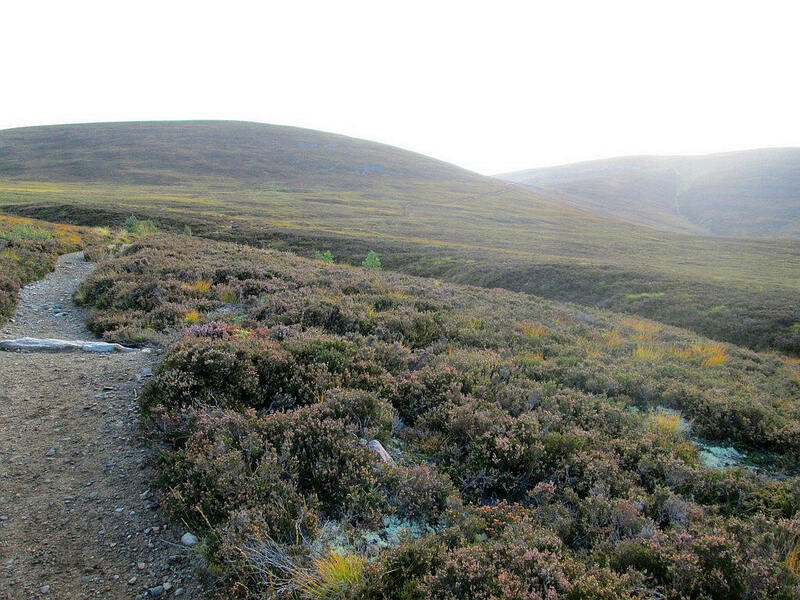 I met a runner who was attempting to cover all the five Cairngorm 4000 feet Munros in one day. We walked together uphill (a little faster than my usual pace) talking until I suggested he needed to carry on running if he was to succeed. the photo. 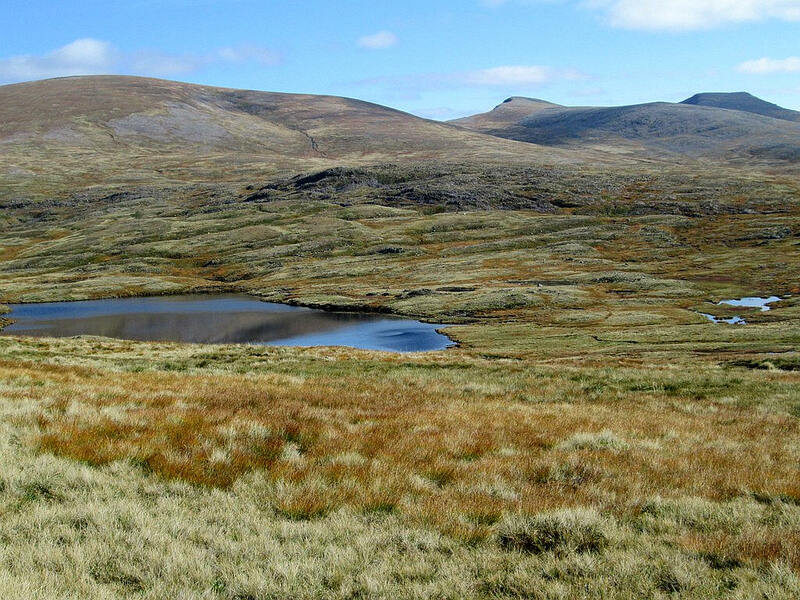 The Falls of Dee are in the centre and Braeriach is on the right. 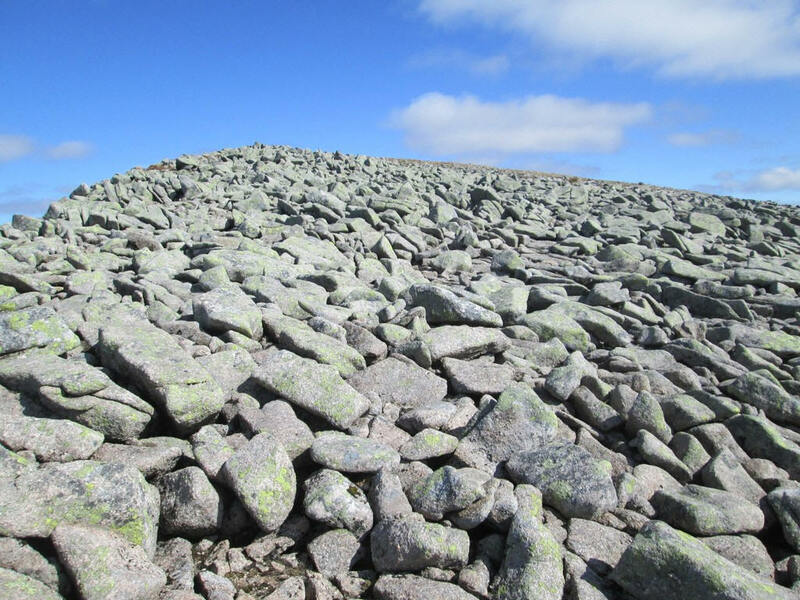 ...before disappearing in the inevitable Cairngorm boulder field. Over to the south is Beinn Bhrotain. 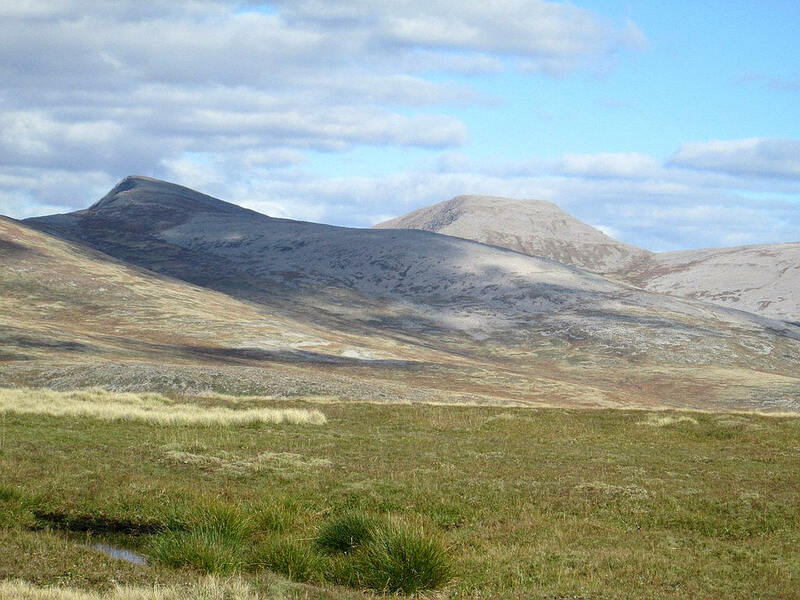 Beinn Bhrotain and Monadh Mor. 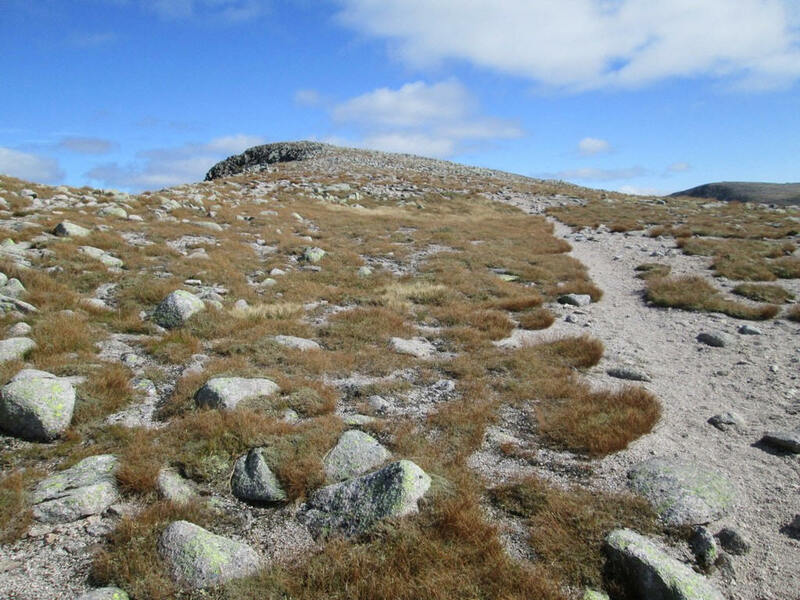 I planned to climb this hill the following day. 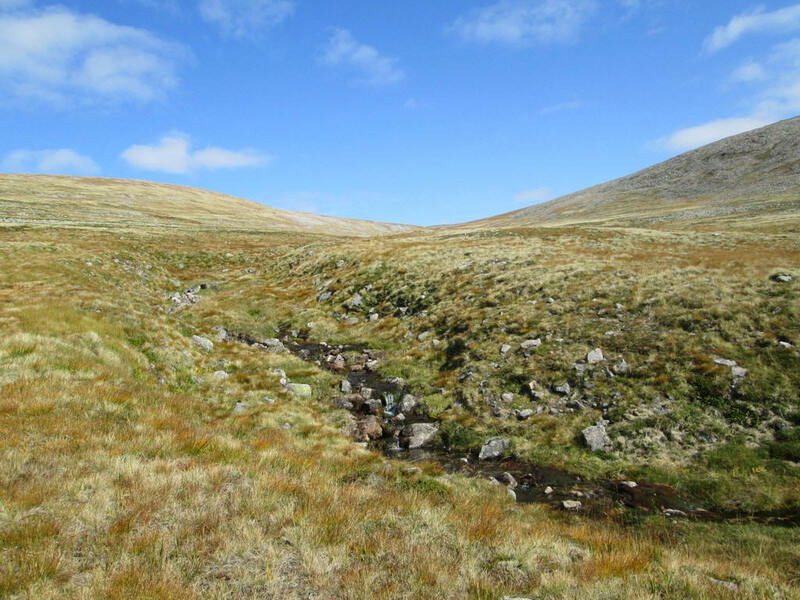 Monadh Mor was the hill that I failed to reach from the other side when I walked from Linn of Dee in June 2018. 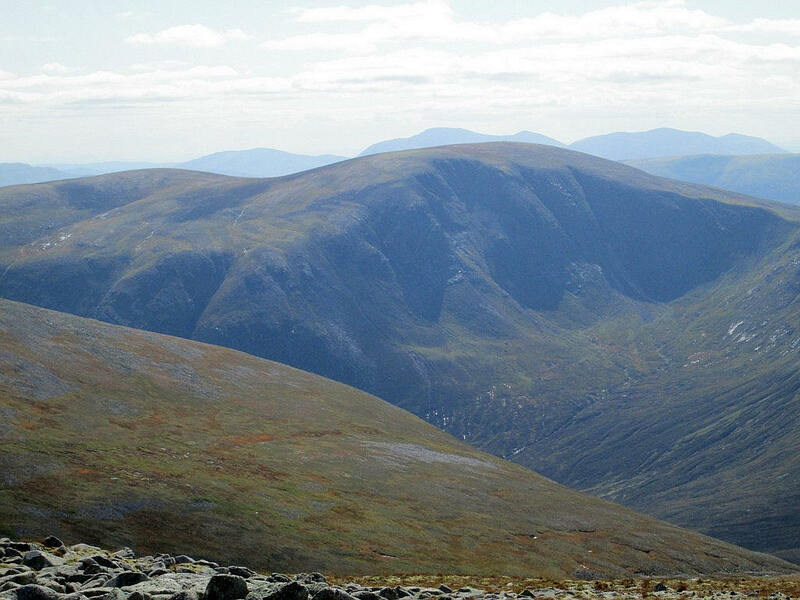 Looking across to Braeriach, and the trough of the Lairig Ghru. 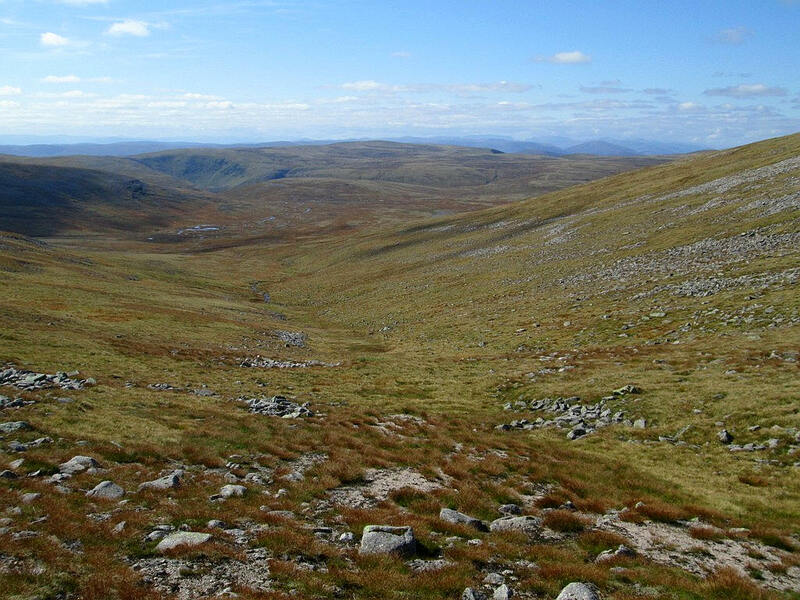 Beyond is the northern end of Beinn Macdui and in the distance Cairngorm. The summit cairn of Sgor an Lochain Uaine comes into view and I briefly have some more company; a runner and a hill guide and his client. 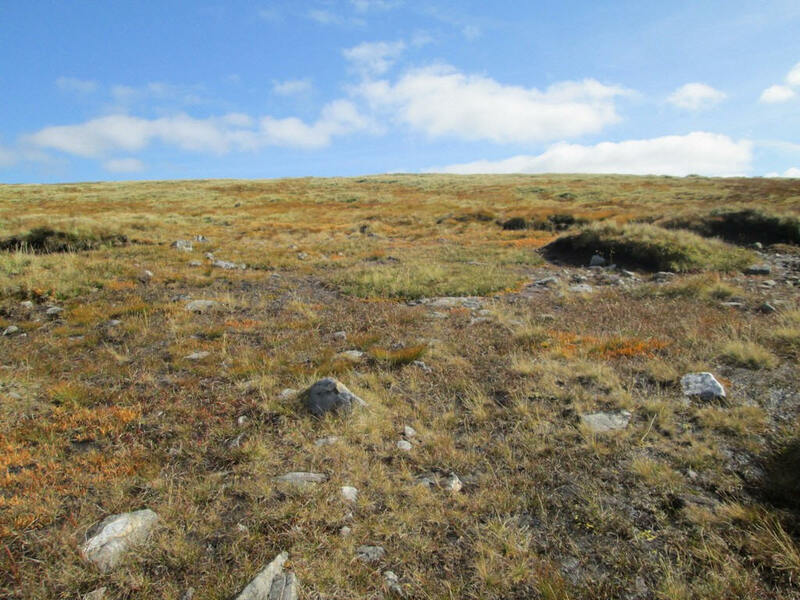 I've reached the summit about five and a quarter hours from Auchlean, slightly later than expected. 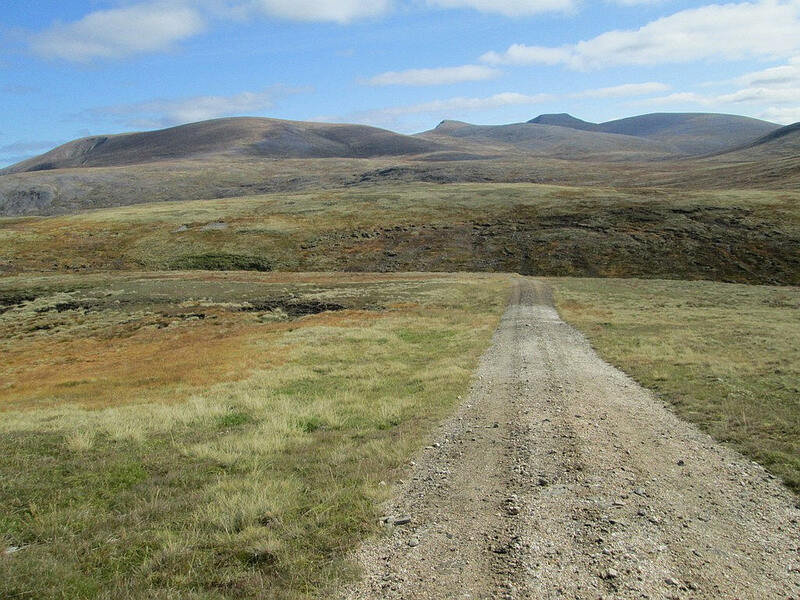 Looking across to Cairn Toul I can't help but feel that the Munro status of Sgor an Lochain Uaine is a little surprising given that it is only 118 m higher than the col between the two hills. 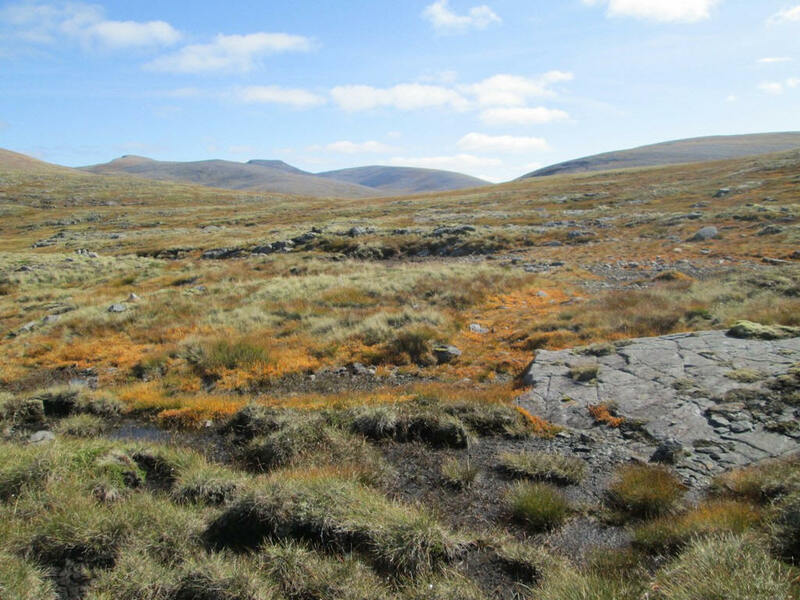 Nevertheless it ismy 186th Munro and it's been a good walk. 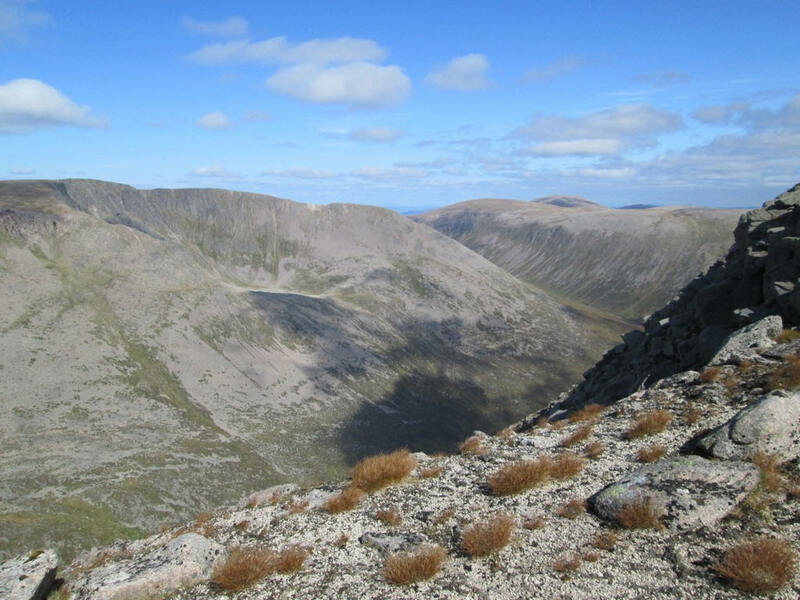 Beinn Macdui (1309m), the second highest hill in Britain, is across the Lairig Ghru. 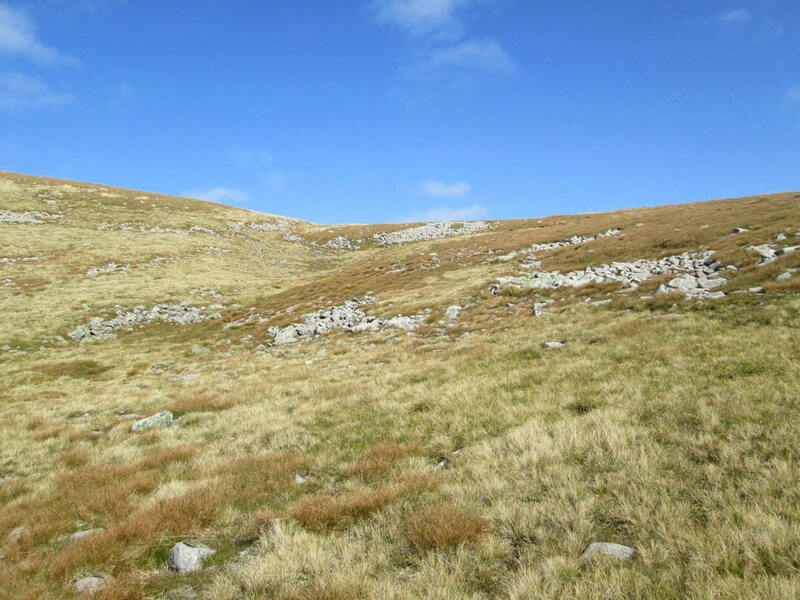 After a break of about half an hour sitting in shirt sleeves at over 4000 feet it was time for the return walkI took exactly the same route back to Auchlean taking about four and a half hours, giving a total of about ten hours including breaks. Lighting conditions obviously change during the day. 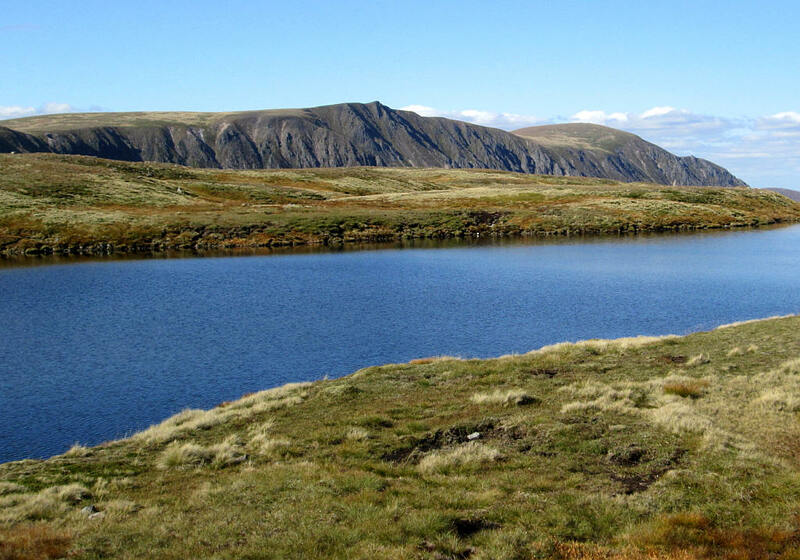 This is an afternoon view of the cliffs of Sgor Gaoith with Loch nan Chapan . 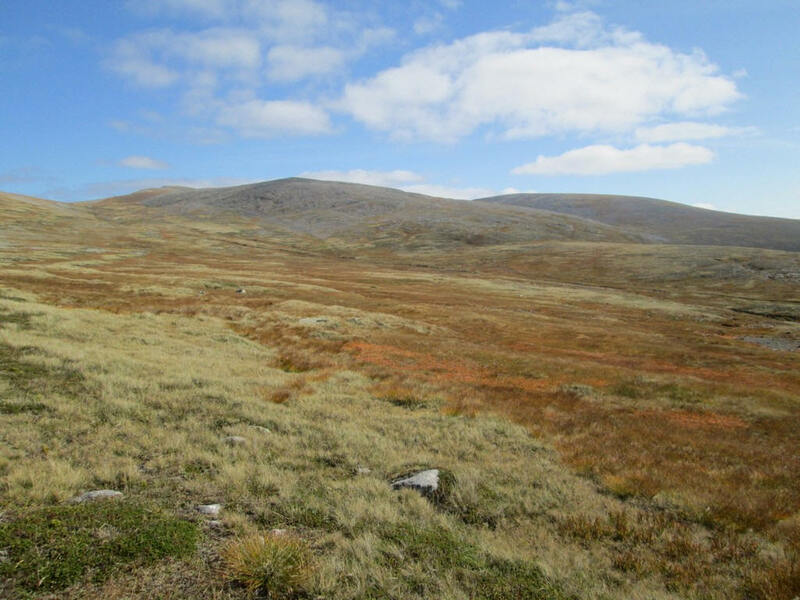 Interestingly the rounded north top (Sgoran Dubh Mor) in the distance looks higher but is actually slightly lower than the pointed summit. Looking back to Sgor an Lochain Uaine and Cairn Toul the sun shows up the rocky nature of the hills which wasn't so obvious in photographs taken in the morning. Last edited by steverabone on Sat Sep 22, 2018 9:48 am, edited 1 time in total. Really captures the wildness of the approach. Got to love the 'gorms. Agreed. A truly stunningly wild part of our country. I have had the privilege and pleasure of hanging out here on numerous occasions over the years in my DofE role. Never tire of going back here! Aye, cracking walk and write up.